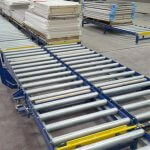 The Andrews Automation Pallet Profile Checker allows clients to ship pallets that are stacked and aligned correctly in order for them to fit snugly into the receiving warehousing and their racking systems. There have been cases in the past where complete shipments have been rejected by the logistics firm due to one palletised load being unsafe. In the early stages of developing our Pallet Profile Checker, we looked into designing a system with the capability of scanning all four sides of pallets simultaneously, looking for problems such as an uneven load or a tilted stack. There was also the requirement to have the inbuilt precision to detect any excess film wrap which may potentially cause problems. This was deemed of the utmost importance to make sure that properly stacked and wrapped loads are sent for despatch safely, with clients confident that receiving parties will have no complaints regarding stack stability and its suitability for warehouse storage. We approached Leuze Mayser regarding the project having used their robust and reliable systems in the past. 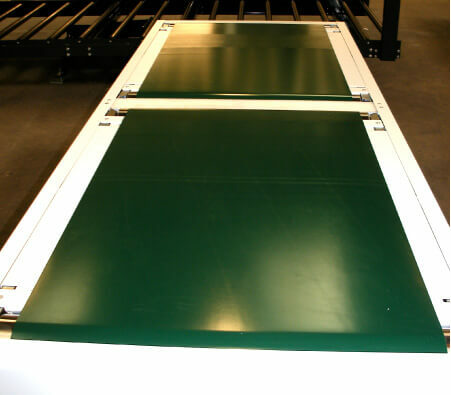 After discussions with their technical team, it was decided that the Konturflex Measuring Light Curtain would be perfect for the the profile checker in order to monitor the front and back of a pallet. Clear object sensors from Leuze Mayser’s IPRK range would take care of the scanning the left and right sides. 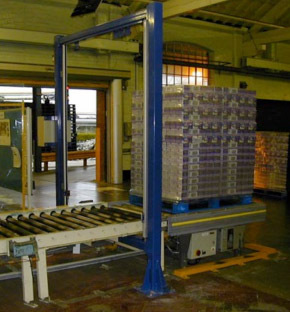 The design we came up with has the capability to monitor standard dimension pallets such as EURO and CHEP, although the versatility of the Leuze Mayser Konturflex and photoelectric sensors give to new pack-line equipment allows us to easily modify the program to handle bespoke pallet dimensions. Leuze Mayser’s Konturflex light curtains provide characteristically fast response times, a top speed of 50us per beam, and can be easily adjusted to cope with diverse applications whether it be checking length, width or height measurement, position, hole detection or multi-dimensional contour detection. A critical component of the Leuze Konturflex system is its Quattro control unit that allows the connection of up to four light curtains and a total of 512 beams, without mutual interference, ensuring a precise output. Quattro takes control of preliminary measured value processing and sends data in compressed form via RS232/485, Profibus, Modbus or CANopen to a higher-level control system. In the case of the Andrews Automation Pallet Profile Checker, it interfaces directly to a PLC-based control system developed by ourselves. The control system co-ordinates the scanning process, while a simple multi-coloured beacon stack communicates to operators when each scan result is completed. Andrews Automation can tailor the system configuration to suit more complex applications or to suit individual needs such as the inclusion of a reset counter to audit the quantity of rejected pallets. Our Pallet Profile Checker includes all of the opto-electronic sensors pre-mounted in order to speed up installation and minimise the impact on client operations, whether it be for a new build line, or as a retro-fit. 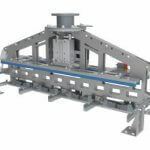 In general and in the majority of applications, the unit sits immediately downstream of an automatic stretch wrap machine, but before FLT collection.